My workout was different today. With every jump, crawl or climbing move I did, I all came back: base of support, points of support, your friend gravity, unconscious competence, timing and sequence. As an explorer and rewilding lifestyle coach, I move a lot. I do so in a natural environment whenever possible, and I motivate others to do so as well. The gains for body and mind are countless: better sleep, a cleared mind, less stress, and a fitter body, to name a few. Sadly, because of our sedentary lifestyle we forgot many of the movements once obvious and natural to us. Being able to learn from the best is a gift. Taking the MovNat Certification Course in Madrid (January 13 – 17) made me a better mover, and even more important, a better rewilding coach. For many years, I have been checking out youtube, looking for ways to train and workout more outdoors while preparing for adventures and expeditions. I was blown away with Erwan Le Corre’s video ‘The Workout The World Forgot”. I had been trying out some of this stuff in an intuitive way on my own, but seeing Erwan mastering balance, gravity, speed, power and most of all elegant accuracy was just incredible. In 2010 I went to Glasgow for a MovNat workshop with him to learn the basics of moving in a natural way. We kept in contact ever since, and a couple of months ago, he convinced me in his own friendly less-is-more style to go for the Level 1 certification. So I did. I enrolled for the workshop in Madrid in January. 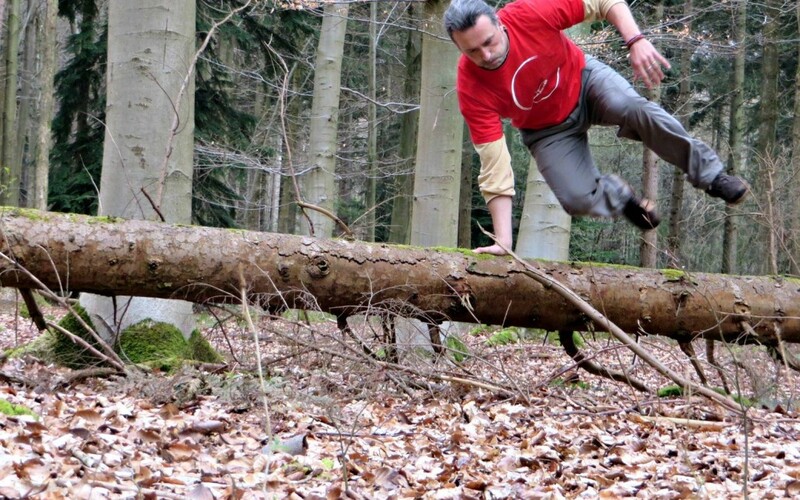 MovNat is a fitness and physical education system based on the full range of natural human movement skills. 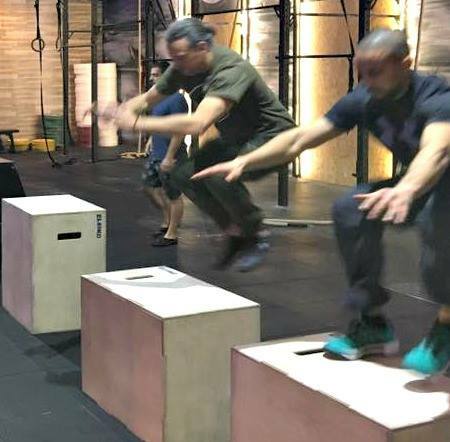 The Movnat system trains physical competence for practical performance, and aims at effectiveness, efficiency, and adaptability. MovNat defines fitness as a physical competence in response to demands placed upon you by the environment and the situation. Environmental and situational demands together constitute the context in which practical physical performance will take place. 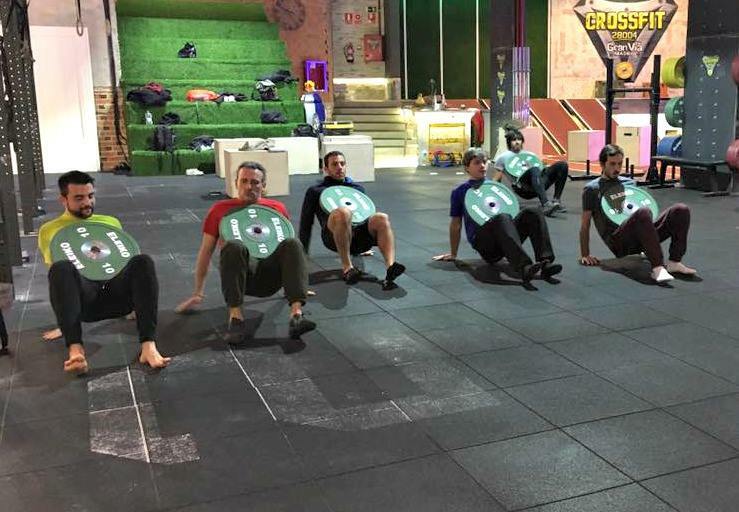 Arriving at CrossFit GranVia was a little chaotic and intimidating. I wondered why so many people were queuing up. Later I found out that these young guys were battling for a place in the Spanish version of the Ninja Warrior program. 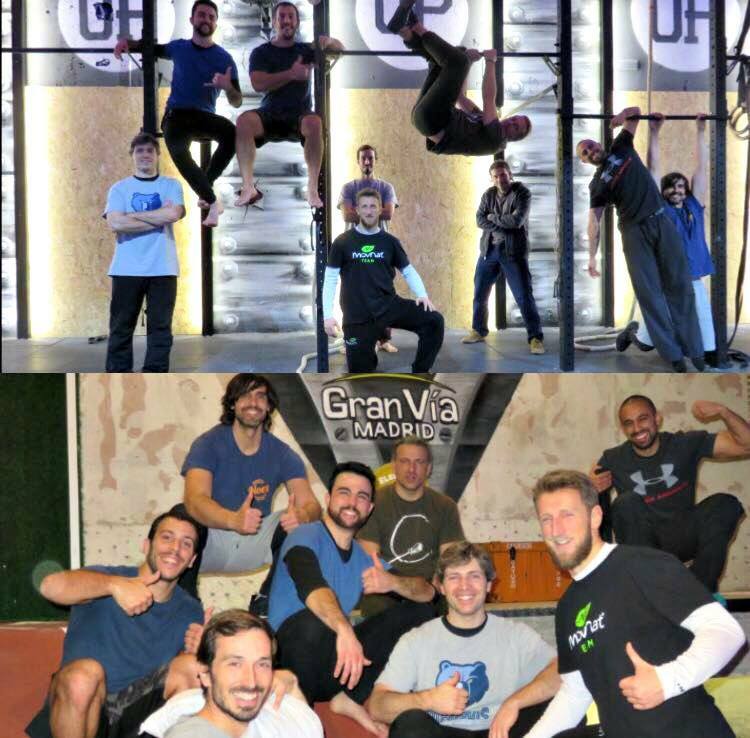 CrossFit GranVia became our basecamp for 5 day, arriving at 8:00 in the morning and finishing around 6 p.m. My workshop colleagues were a little J younger than me; the oldest only 13 years younger, and well represented in the crowd were CrossFit coaches, personal trainers, a physiotherapist, and a crazy (sorry Lorenzo :-)) Parkour Italian. What type of coach I was? 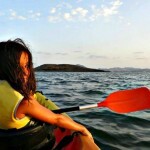 An explorer and rewilding lifestyle coach. 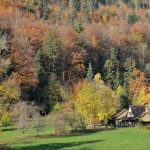 So why doing MovNat indoors since it’s all about moving naturally outdoors? Good Question! The instructor’s course is stuffed with lots of different techniques which have to be trained and rehearsed, in a safe environment. 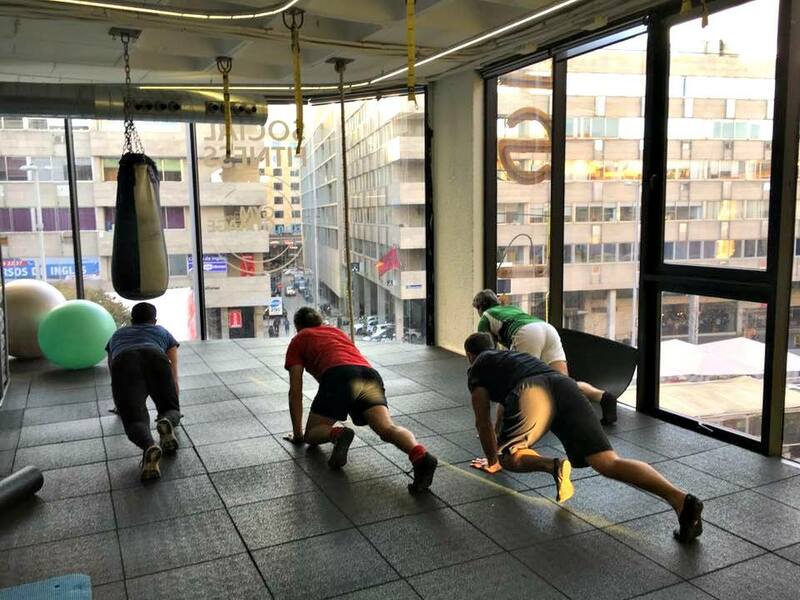 As a group, we opted not to go out, looking for good outdoor spots, but instead use every minute available to learn and train in this gym, which has a superb and very open-minded atmosphere. The better you master the moves, the easier it becomes to move well in nature. It was a wonderful experience, and I will surely use it in our rewilding lifestyle workshops where we inspire people to move in the most natural way possible. And believe me, Jerome, I won’t forget. It’s all about posture, breathing, sequence, timing, tension, and relaxation. Once again, thank you, Erwan, and thank you, Jerome. I will now, more than ever, crawl up and down mountains, jump over rivers, balance fallen trees, and breathe!